And God saw… that it was good. And God said … it is autumn. It is time for the leaves to fade into gold and brown. It is time for the earth to gather the seeds, bury them and keep them safe until spring. It is time for squirrels to scurry through the trees, ripping the hornbeam leaves to shreds as they search out the tiny seeds. Leaf fragments flutter to the ground, betraying their presence, so too do the tiny cracking sounds as sharp teeth bite into the nuts. Hedgerows filled with blackberries, sloes clinging to the spiky blackthorn. 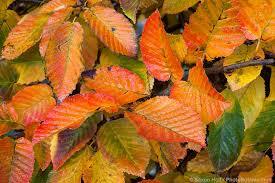 All say it is a time of fruitfulness, heralding the withdrawal of warmth and light for a season. And God said … there is a time for rest and recuperation. A time when you can sit and listen to me. It is a time for waiting and preparation. Under the frozen soil of winter, the seeds are protected and nurtured; they are being prepared for the new growth that WILL happen in the spring. It is a time of consolidation, of anticipation, of looking forward. It is not a time to rush in, but a time of waiting. It is a time of peace; snow muffles the world, all becomes muted. It is a time for you to concentrate on me, and let the world go on around you. And God said … your future is in my hands, and it is unfolding as it should. It is not too slow, or too late, it is my perfect timing. You haven’t missed it, it hasn’t passed you by. You are right in it! !